Nanovex Biotechnologies is an innovative company in the field of bionanotechnology. We are focused on the design, development and obtention of different kinds of nanomaterials with applications in different fields like as, nanomedicine, cosmetics and nutraceuticals. 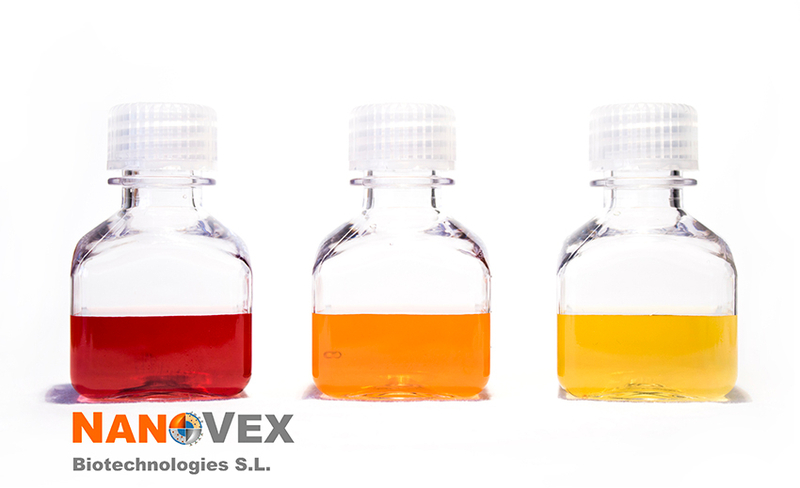 Nanovex posses high experience in the customized development of a wide range of nanomaterials in order to achieve the obtention of products adapted to the requirements of our customers. MAGNAMED designs, fabricates, and assesses novel magnetic nanostructures (MNS) with unique spin configurations for innovative diagnostics and therapy techniques. An early stage detection and an effective treatment are keystones to reduce cancer mortality. Current clinical procedures fail to detect small concentration of tumoral biomarkers. Magnetic nanoparticles (MNP), like beads, have attracted much attention for their capability to improve cancer detection limits and treatment technologies.